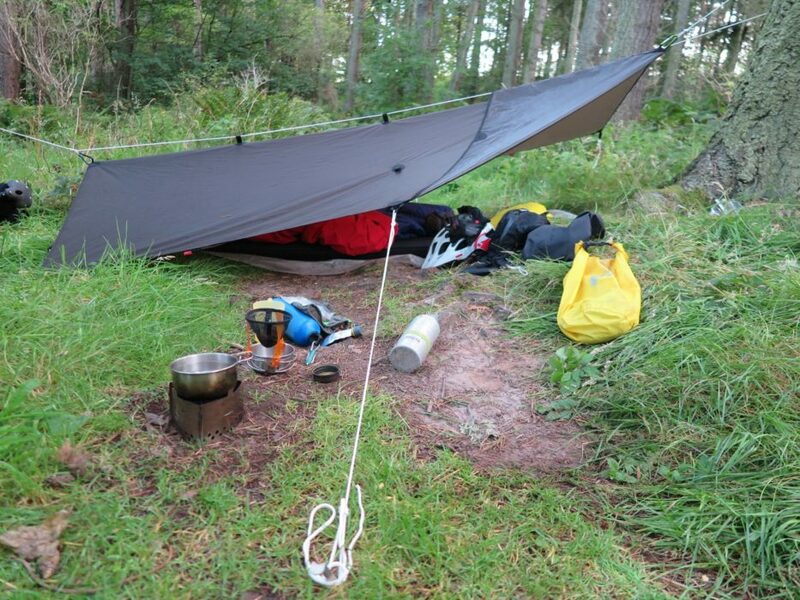 Jim Sutherland describes his bikepacking trip along the Moray Coast Trail in Scotland - plenty of hills, laughs and some good food. 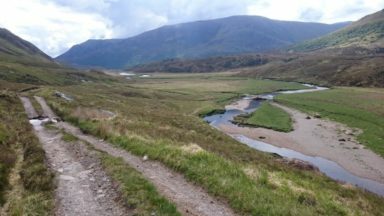 I was inspired to ride the entire Moray Trail after riding a 75km route from Knockando to Edinkillie and finishing along the Dava Way. 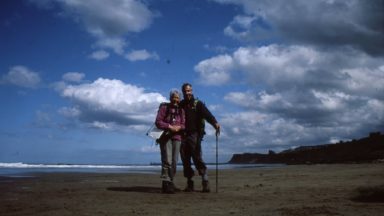 My friend had originally shown me the Cicerone guidebook to the Speyside Way, Moray Coast Trail and the Dava Way and, having already have written for them, I was well aware of the attention to detail and standard they expect. This meant that I was very confident in using the guidebook to help me create a two day bikepacking route. My cycling buddy Kenny and I left Grantown on Spey at about 3:30pm on a Friday evening, which was a bit later than planned, but we were both confident that we could ride the 80km needed to reach a bivvy site near Roseisle Forest. As soon as we started out we both felt happy to be on our bikes again. Not only a very experienced road cyclist and a confident mountain biker, Kenny is a skilled bike mechanic. A good person to have on the team! 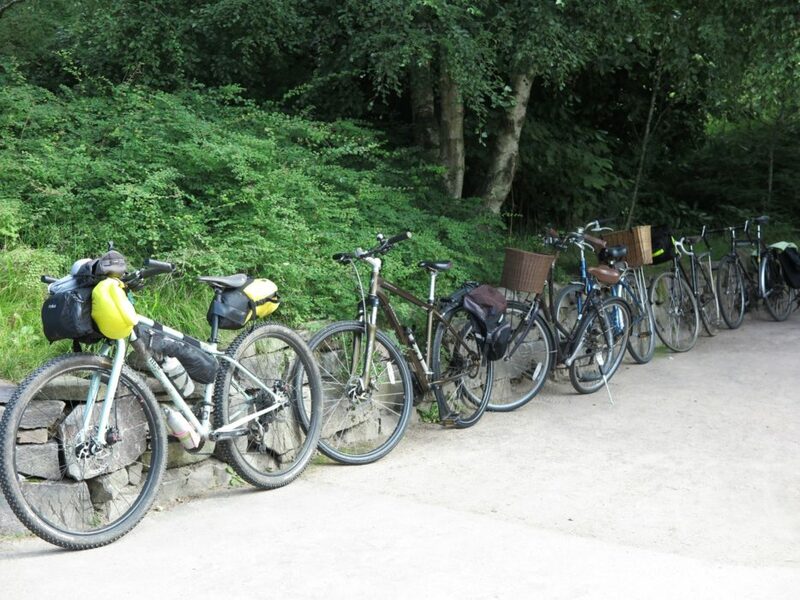 Taking advice from the guidebook, we chose to ride an alternate route to the lovely free campsite at Ballindalloch. Pedalling along we enjoyed 20km or so on the quiet tarmac through some very very wealthy estate grounds on the north side of the Spey. Shortly after joining the official Speyside Way we met some German walkers who were clearly enjoying themselves. The six of us had a bit of a chat, took some photos and went our separate ways. Meeting folk like this really is one of the attractions of travelling on waymarked routes. 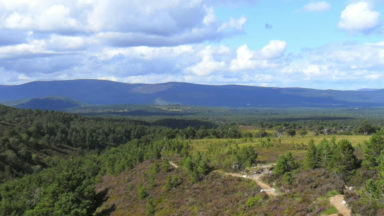 The Speyside Way follows much of a railway line which was used to link the fine distilleries along the valley. As we passed each one I was given a description and rating of their product from Kenny (a little worrying given that I only had a certain famous popular blend in my hip flask). Just before Aberlour the trail had just the right combination of gradient and surroundings, giving some wonderful riding despite our loaded bikes. Aberlour was quickly despatched as Kenny now had the Fiddichside Inn on his radar. We pulled up, parked our bikes and stepped through what felt like 70 years back in time. The pub was 98 years old and full of character. After a pint it was time to get back on the road although it would have been easy to stay and to listen to the barman tell us more about the history of the place. We really hope that he is still there in two years to enjoy the centenary celebrations; going by what we saw he will be! As expected there was a rather steep road climb and we both agreed that having only one pint had been a good idea. Our next target was the long, gradual climb up the slopes of Ben Aigan on gravel roads. By staying at 70% effort and not pushing too hard we reached the top of the climb comfortably where we were treated to an amazing view across a patchwork of fields all the way to the Moray Coast. At that point I stupidly announced that it was downhill all the way to the sea…. Kenny and I had agreed to stop for dinner at a reasonably early hour so that we were properly re-fuelled for the search for a good camping spot. The award-winning Fochabers Fish Bar was right on the corner as we rode into town so there was no time wasted looking for somewhere good. (I still remember eating one of the worst Chinese takeaways I have ever had, in the rain, in the dark on a Saturday night whilst riding The Capital Trail, a 240km bikepacking event with which starts and finishes in Edinburgh. That was not going to happen tonight!) The food was hot, tasty and up to the promised standard. Kenny had a fish supper whilst I made do with a chip butty, a steak pie supper, a can of Coke and a deep fried Mars bar. Knowing that we still had a bit to go it was important to replace burned calories - at least that was my excuse. At 8 o’clock we headed down the high street, replenished, with a view to re-joining the Speyside Way south of Spey Bay instead of retracing our route into Fochabers. This worked and soon the two of us were riding on a lovely trail through pine trees with a wide and slowly flowing River Spey nearby. After an hour dusk was starting to make navigation a bit more tricky, despite having a GPS of the route and being able to see the footbridge we needed to cross nearby. One frustrating dead end along the shingle took us tantalisingly close but we then decided to backtrack and follow a slightly longer route along the edge of recently harvested fields. Time for lights. Kenny had a powerful head torch attached to his bike helmet whilst I had a small rechargeable bike light on my bars. I thought it would be useful to be able to recharge it, as well as my phone, with the battery pack I had brought along. However, for the future I am planning on fitting a dynamo hub which will eliminate much of the weight of the battery pack but still allow me to charge my lights or phone throughout the day. Just before leaving the village we rode past a very inviting pub with people enjoying a beer in the warm, cosy bar. At times like that I sometimes think about being at home, or somewhere more comfortable, but it’s all about getting a balance isn’t it? It was turning out to be a beautiful night to be on the road - hardly any traffic and no wind or rain. Ideally we would have liked a camp spot in the pine trees above Roseisle Beach but the late start precluded that. Instead we identified on the map a sheltered trail which was off the road and not somewhere that we would disturb anyone, or draw too much attention to ourselves. We soon reached our spot. Kenny was able to pitch his one person tent right on the clean, solid surface of the path and I was able to use a pine tree and my bike to rig my tarp across the path. This was all done by torch and struck me as the first time since leaving that afternoon that we had not been pedalling, blethering or eating! Once set up I knew the moment of truth would come and I would have to reveal the contents of my hip flask. I was - for the moment - saved by Kenny offering me a dram of some Speyside malt which tasted every bit as good as it smelled. We shared it along with what we thought of the 80km we had ridden today. Highlights included the spectacular view from Ben Aigan, the route finding at Spey Bay and the calm, clear riding in the dark to our camp spot. The Cicerone guidebook had given us lots of useful information, especially the alternative routes and I was very glad to have taken the time to study each of the individual trail descriptions from it. 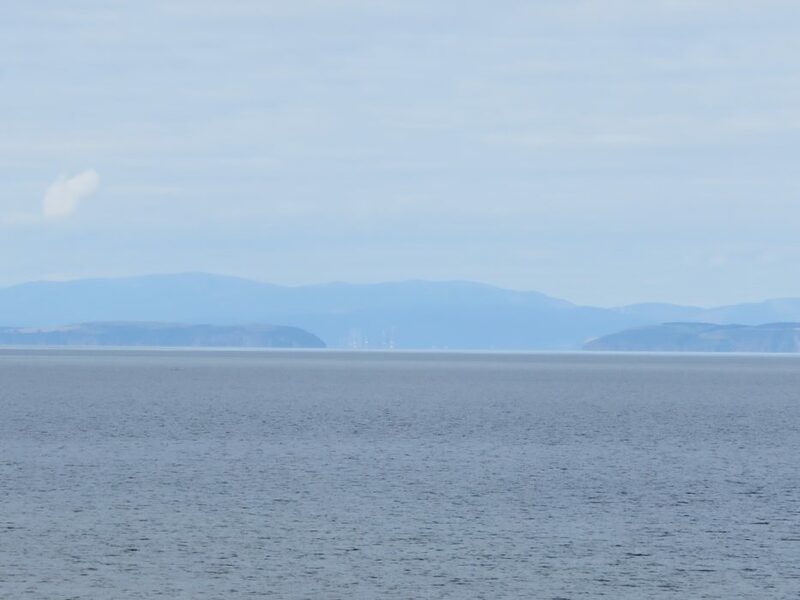 We discussed a plan for the second half of this brilliant route: fresh coffee, oatcakes and honey for breakfast; a leisurely ride on the quiet back roads to Lossiemouth for a cooked second breakfast. 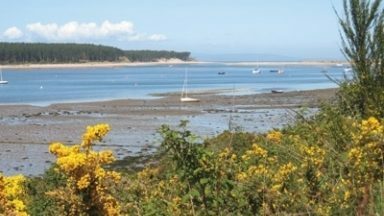 This would set us up for a ride along the Moray Coast Trail to Findhorn and more coffee at the Phoenix Cafe before heading to Forres and then home south on the Dava Way. At this point Kenny’s whisky was finished and I announced that it might be best just to turn in for the night unless he was prepared to lower his standards. He agreed so it was off to sleep. After a great night’s rest I awoke early and walked up the path a little. I was rewarded with one of the loveliest early morning vistas I have seen for a long time. 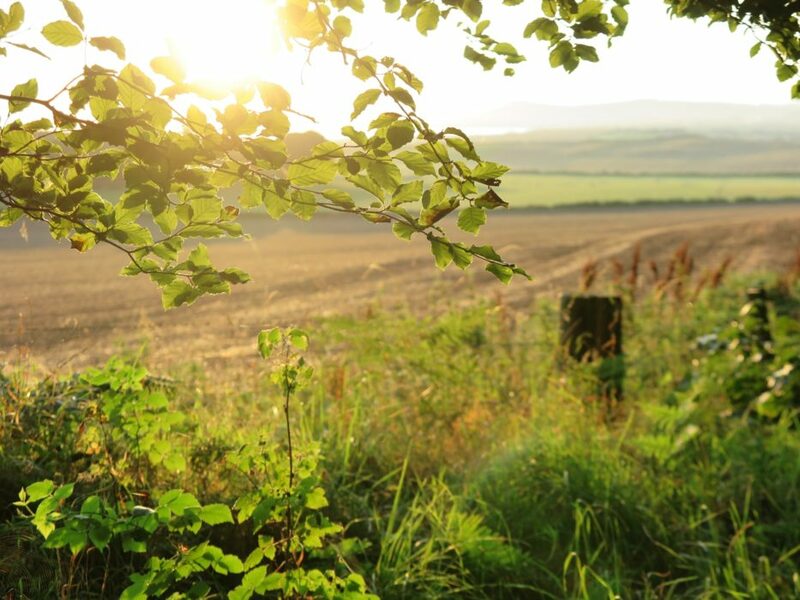 From a clearing in the trees I could see the sun shining onto a ploughed field. Behind the field was the village of Garmouth with Braes of Enzie in full view and finally I could see the Moray coastline and sea. I returned to the campsite and fired up the Trangia to make some coffee. This year I have started using an old Trangia burner with a really clever arrangement of three interlocking, flat plates. This all packs away with the burner and a lighter to a size not much bigger than a digital camera. Our coffee was brewed using a GSI Java Drip which is basically a reusable filter which clips onto your cup or pan with three little legs. The coffee was tasty and strong, providing us with that perfect start to another day on the trail. The details in the Cicerone guidebook suggested that biking this section of the Moray Coast Trail might not be the best idea so we worked out a route to Lossiemouth using the back roads. This turned out to be a very lovely and quiet section of the trip. At Lossiemouth we ate like kings at the Harbour Lights Cafe: flat whites, bacon, sausage, eggs, tomatoes and toast. A local road cyclist joined us for a coffee and a blether for a while before he headed inland to Elgin to play at a local concert. This breakfast set us up for the final 50km of this wonderfully varied and enjoyable route. At no time was the riding too hard, or too easy. The views, the terrain and towns constantly changed. 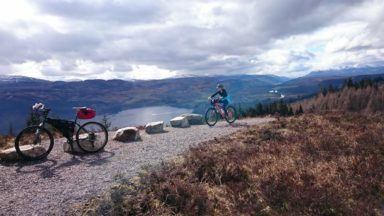 However if you were to attempt the Moray Coast Trail over two days with one overnight stop as we did you would need to have the experience, fitness and skills to keep riding the kilometres. Or have someone to guide you in order not to lose time, or even get lost. 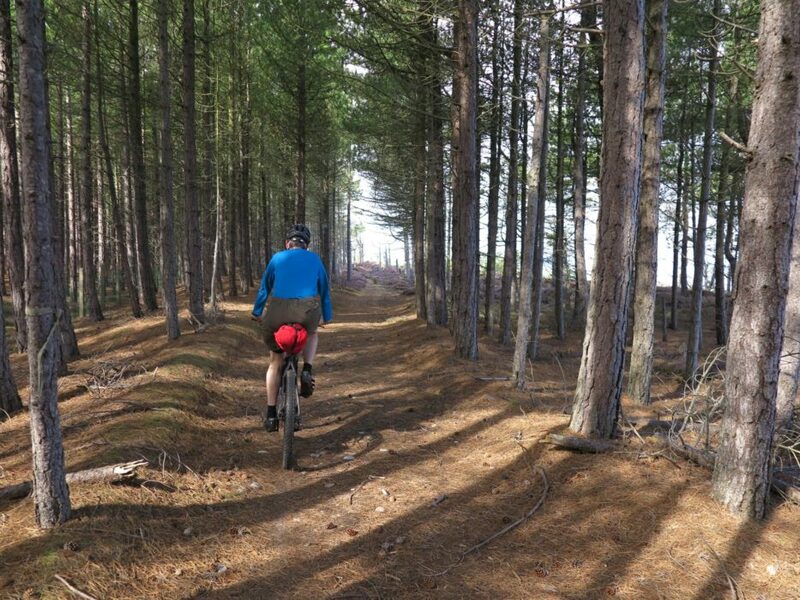 The riding through the sandy trails of Roseisle Forest above the Moray Firth was delightful. We traversed some spectacular sections of trail where the beach almost undercuts where you are riding! As we burst out of the woods into the middle of the Findhorn Foundation we nearly missed the Phoenix Cafe but a quick call brought us back to a more sensible pace and importantly… more coffee and cake. After our cake break the sun was beating down on us quite strongly so a diversion was made in Forres to a pharmacy to buy some suncream. We had now left the Moray Coast Trail and had started the long, steady climb all the way to Dava summit at 1052 feet above sea level. There was a wonderful sense of space on the route. Sometimes the space was within the trees and the playful light of the sun through them, whilst other times it was the sense of a pure straight line heading all the way back towards the Cairngorms. At the 1052 feet above sea level sign we both sensed how close we were to home. We still had some snacks and drinks so we fuelled up before pushing on past Dava junction, Huntly’s Cave and the wonderful new trails near Cottartown. 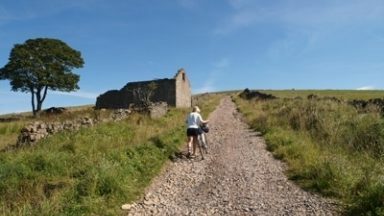 Rather than riding along the shaded cuttings of the last few kilometres of the Dava Way we took a fun and sunny route past Castle Grant which popped us out just outside of town at the gatehouse. Kenny and I pulled back into Grantown on Spey at 3:30pm which made our traverse of The Moray Coast Trail 24 hours and 30 minutes for 167km and 1619m of ascent. I would recommend this route to any competent and experienced riders who are not afraid of pushing on and being flexible with their plans. We rode an amazing variety of terrain, saw so much different scenery and great trails at a modest level of difficulty. Get a copy of the Cicerone guide and start planning now, you won’t regret it. 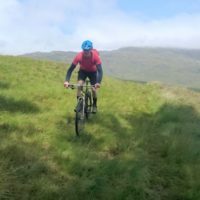 Bikepacking - what is it all about? Bikepacking is all about making your journey on a bike as fast and light as possible so you can enjoy some of the most demanding, spectacular and remote countryside imaginable. You don’t need to carry your gear in a backpack, but instead use dedicated bike luggage which attaches to the frame, seatpost or handlebars of your bike. This makes for a more comfortable riding with no bouncing panniers or rattling frames. For me the attraction is the journey with the planning, exploration, time out from ‘normal life’, connecting with nature and riding through spectacular scenery.